L. wagneri adult. Dried museum specimen from London Museum. Physical description: About 11 to 14 mm in length. 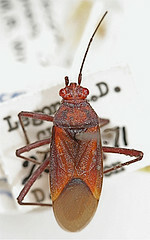 Yellowish red dorsal side with ochre head and brownish scutellum; membrane is brown. Ventral side is brownish ochre with fine red dots. Appendages are brown. 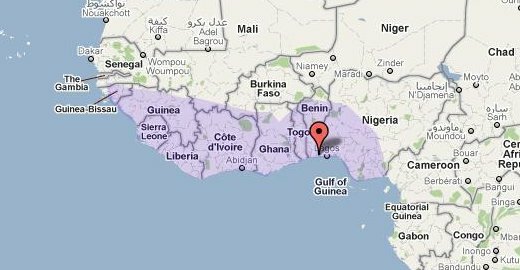 L. wagneri has been found in Guinea but the exact location of where it was collected is not known.